Rewarding experiences at the Zoo, Botanic Garden, Tingley Beach and Aquarium. Working at the BioPark can be fun and rewarding. The Albuquerque BioPark is a City of Albuquerque facility. Jobs are posted on the city's main website and updated every Monday. BioPark jobs will be listed under 'Cultural Services'. Search and Apply for Jobs. The Albuquerque BioPark also hires temporary positions through staffing agencies. Learn more about employment at the BioPark. 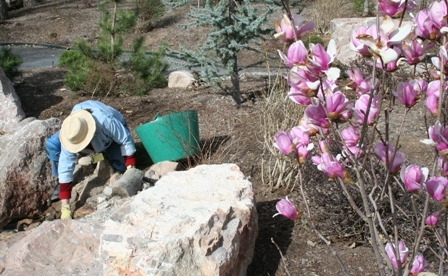 The BioPark relies on its dedicated volunteers to make the Zoo, Botanic Garden, Tingley Beach and Aquarium successful learning and conservation facilities. 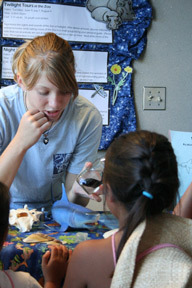 Volunteers make many BioPark programs possible. Students (16+) interested in conservation and life sciences can also get involved in the BioPark Education Department as Student Volunteers. The BioPark does not offer animal handling internships. For safety reasons, job shadowing is not available.